The preservers are ancient creatures that evolved from insect-like animals into colorful, bewinged, sentient beings within the walls of the Palace of the High Ones. They are as immortal as the elves and are protected by thick, leather-like exoskeletons, making them fairly indestructible. The preservers are so connected with the Palace that they can detect its presence anywhere on the World of Two Moons and can unerringly locate it. The preservers feel that the elves are in great need of care and protection, and have taken those tasks upon themselves (regardless of what the elves think about this). They produce a sticky webbing that will put anything wrapped in it in suspended animation, unaffected by the passage of time. 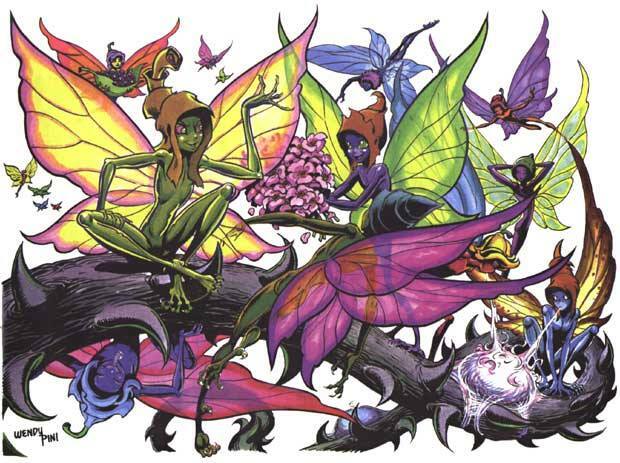 They serve as scouts and guards, and use their webbing to preserve food and protect wounded elves. They are unwaveringly loyal but have their own morality and sense of right and wrong. 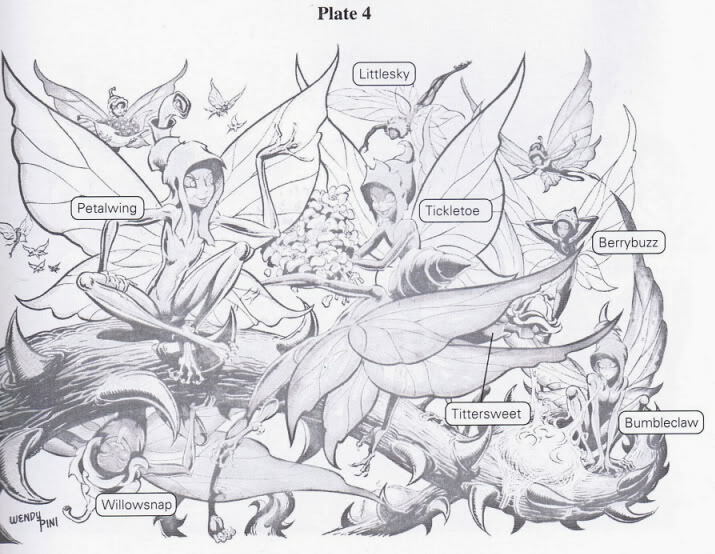 Though they differ much more in appearance than personality, Petalwing is the bossiest and is considered their leader.